A Hollywood actress of Ukrainian origin was spotted with her future husband. Olga Kurylenko, who diligently concealed the chosen one, finally showed off him to the public. 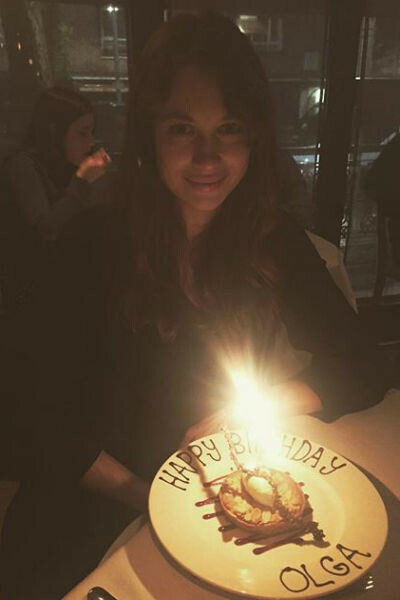 Olga Kurylenko has always been distinguished by secrecy regarding her personal life. The Hollywood actress did not advertise pregnancy, did not post photo sessions with the baby bump, as many stars like to do, and she never came out with her chosen one. However, journalists have long found out the identity of Olga's beloved, who is also the father of her child. This is an actor and journalist from London, Max Benitz, who is five years younger than Olga. The age difference does not bother the couple, which, according to some, is preparing for the wedding. On the eve of this happy event, Kurylenko and Beniz decided to reveal all the cards and stop making secrets from their relationship. The beloved first appeared together in public. On the eve, they flew to Paris to show off in front of camera lenses on the red carpet of the Dior fashion show. The actress is a big fan of the fashion house, so she could not miss the chance to see the new collection. Happy parents most likely left child at home with a nanny.